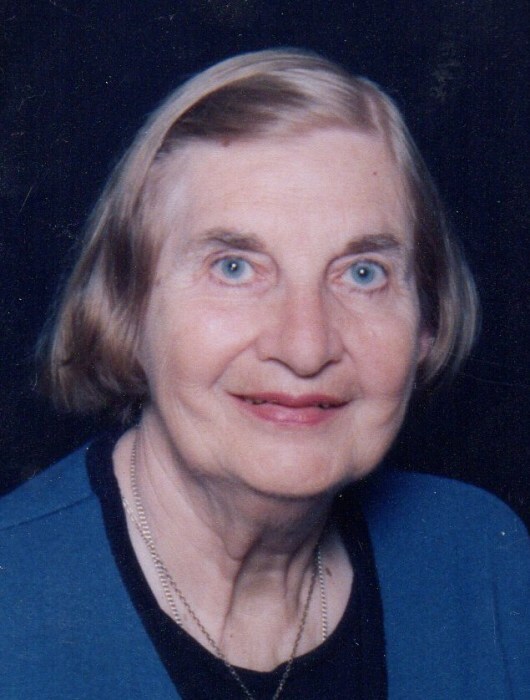 Theresa Estelle Geragotelis, age 87, passed away at William W. Backus Hospital on March 21, 2019, of natural causes. A lifetime native of Norwich, she was born on October 7, 1931, the ninth of nine children, to the late Dominic and Theresa (Piezzo) Brogno. She attended Saint Mary’s Elementary School and then Norwich Free Academy, graduating in the class of 1950. She married her loving husband, John, on October 17, 1959, at Saint Mary’s Church. She worked at the Thermos Company in the 1950s and Ortronics in the 1970s and 1980s. Theresa was a loving wife, sister, mother, godmother, grandmother, and great grandmother. Theresa was truly a selfless and giving person who always placed the needs of other people before those of herself. She never missed sending a kind birthday wish to her many relatives, friends, and godchildren. She enjoyed large, family get-togethers on the holidays, and especially loved hosting the Thanksgiving feast at the family home in Norwich, and hosting Memorial and Labor day picnics at her ocean cottage in Misquamicut, RI. She was the traditional Italian mother, serving weekday suppers promptly at five, and preparing her special meatball recipe every weekend for Sunday’s pasta dinner. Theresa was a devout Roman Catholic, who greatly admired Saint Pope John Paul II. In addition to her strong love of God, family, and friends, she really enjoyed travelling the world, painting with watercolors, collecting Hummels and fine china, baking fruit pies and blueberry roll, eating pastry or ice cream for dessert, and dressing smartly in purple accented with silver jewelry. Her favorite flower was the daisy, and her favorite sports stars were Joe DiMaggio, Ted Williams, and Andre Agassi. Theresa is survived by her three sons, John and his wife Diane of Oak Harbor, WA, Nick and his wife Mary of Canterbury, CT, Paul and his wife Kelly of Sharon, MA, and her one daughter MaryEllen and her husband Jed Carty of Norwich, CT. She is survived by nine grandchildren, Brittany, Amy, Jacey, Andrew, Jeremy, Alexander, Nicholas, Tessa, and Zeb, and three great grandchildren, Cash, Huck, and Riley. Friends and relatives are invited to a funeral mass at 9:00 AM on Friday, 29 March at Saint Mary’s Roman Catholic Church, 70 Central Ave, Norwich, followed by a graveside service at Saint Joseph Cemetery, 215 Boswell Ave, Norwich. In lieu of flowers, donations may be made in Theresa’s honor to Saint Mary’s Roman Catholic Church, 70 Central Ave, Norwich, CT 06360 (860-887-2565).